Stand alone website template downloaded in zip file format. 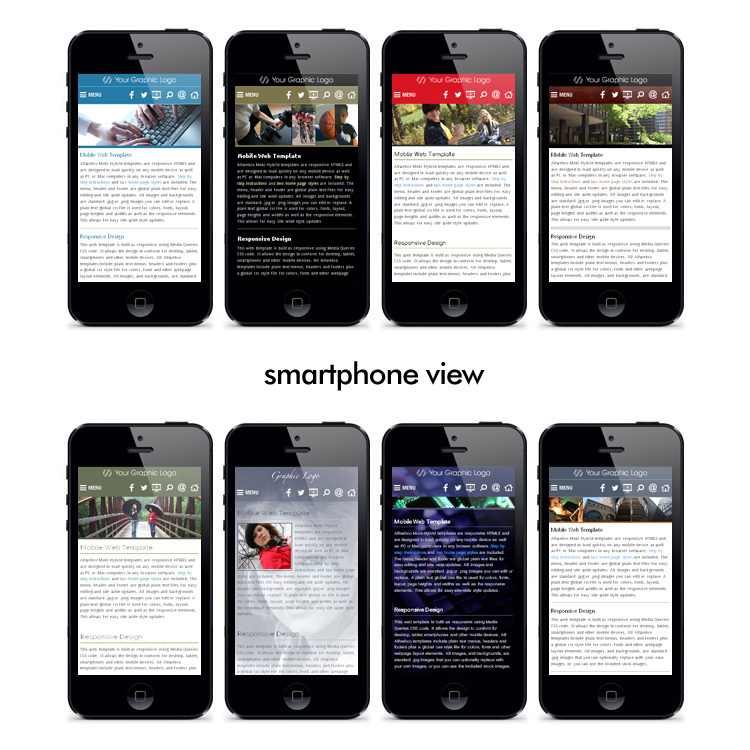 Designed for the best cross-browser viewing on the largest number of mobile devices, smart phones, tablets, laptops, PC and Mac desktop computers, the Jade mobi-Hybrid® webpage design template is a fully complete HTML5 website with multiple pre-formatted pages and features. Includes: HTML5, global css styles, plain text global menu & footer files, photography image slideshows and contact page. 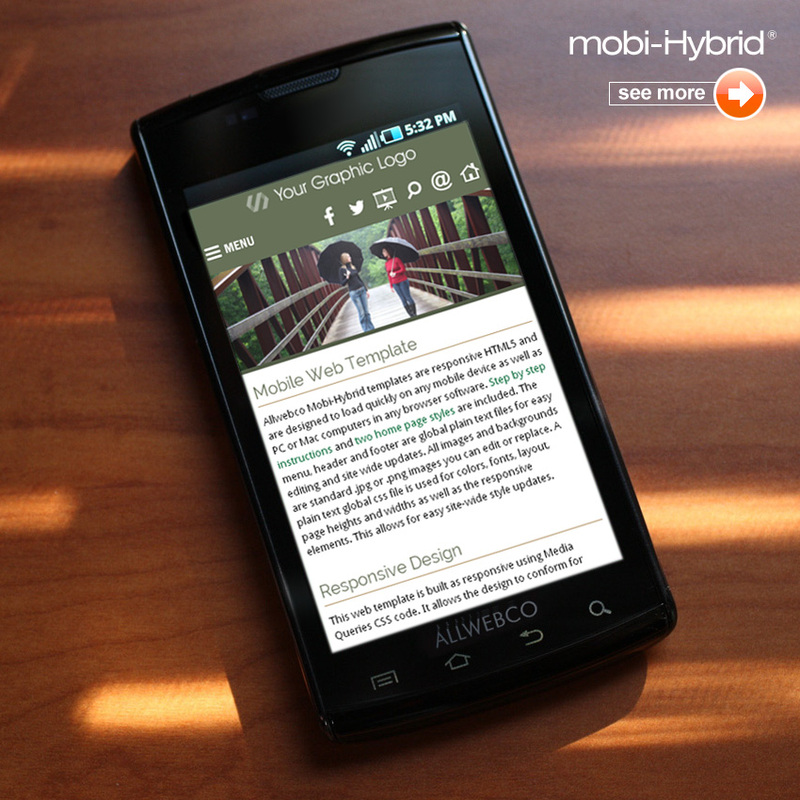 SEO friendly HTML5 with CSS and mobile device optimization built in.